Dutch Colonial Home: 2,717 square feet. Four Bedrooms / Three Full Baths, One Half Bath. Detached Carriage House: 440 square feet. One Bedroom / One Full and One Half Bath. Ashley pours a drink at the functional “laundry bar”—which conceals an ice machine, washer, and dryer—while her mother, Kris Ozburn, and companion, Louis Kahn (named for the renowned Philly architect), lounge in the adjoining hearth room. 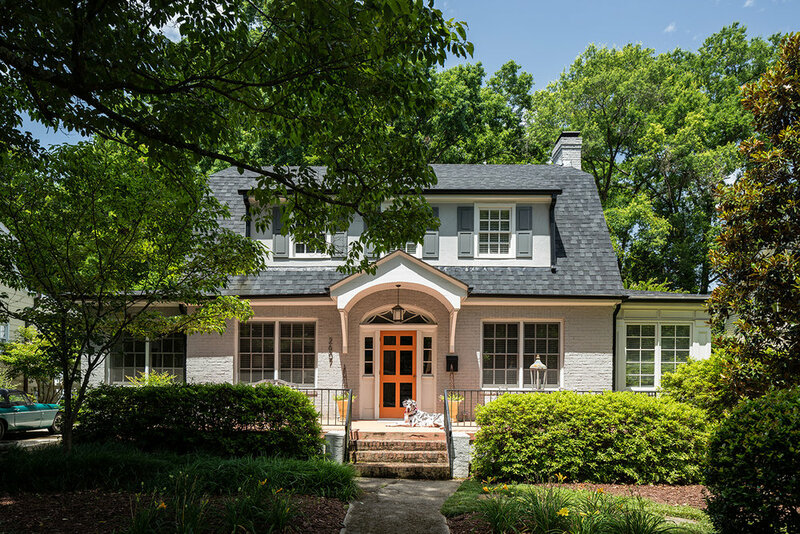 Architect Ashley “Oz” Ozburn has designed homes from the Great Lakes to Georgia and the Carolinas, but the house on Lochmore Avenue in Raleigh’s Five Points neighborhood is the one that pulls her back time and again. Her parents bought the house in 2012, soon after relocating to Raleigh from Virginia. Ashley—who now lives in Chicago—began her career working with Raleigh architects Frank Harmon and in situ studio. In 2012, she launched her own design firm, AOA, and the Lochmore home entered her portfolio. 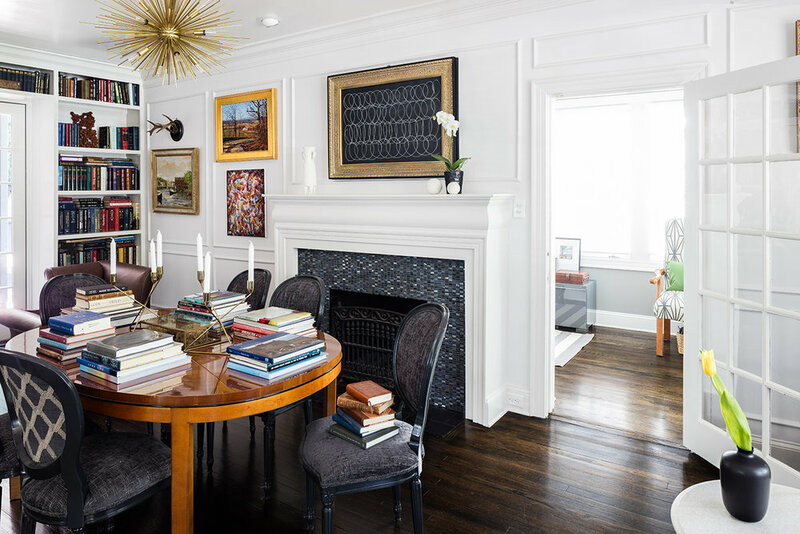 The renovation maintained the historical character of the home’s exterior—its front façade, huge trees, and mature landscaping—but the interior has been completely opened up to accommodate the lifestyle Ashley’s parents enjoy, one of casually entertaining family and friends. “we weren’t trying to fake old.” To accentuate this, the new windows and the expansive French doors leading to the backyard were painted black, both on the interior and the exterior. The reinvention of the house required one “teeny” addition: The second floor was expanded four feet by six feet to enable the creation of a more luxurious and accessible master bath. The open design of the interior extends from the kitchen and the cozy hearth room to an inviting “outdoor” room. The entire backyard has been designed with entertaining and relaxation top of mind, with seating areas surrounded by lush landscaping. An existing carriage house, at 440 square feet, sits on one side of the backyard and was also repurposed with a study and half bath on the ground floor and a bedroom and full bath on the second floor—perfect for extending the owners’ love of entertaining to out-of-town guests.